On March 23 President Obama signed into law a new national health care bill that some people have put on a par with Social Security and Medicare. Now the United State Senate must consider a bill passed by the House of Representatives that would make changes in the new law. If the Senate passes the bill of changes just as the House passed it, the bill will go to President Obama for his signature. However, it is quite unlikely the Senate will not make any changes to the bill, so most likely it will then have to go back to the House to vote on whatever changes the Senate makes, even if they are very minor changes. Most believe differences between the House and Senate versions of the bill say they will not be resolved until late this fall after the elections. Regardless of the President's political party, it is quite common for the other party to gain a number of seats in both the House and the Senate in the mid=term elections such as will be held this fall. That means it is quite possible the bill of changes to the new health care law will ultimately be resolved by a House and Senate that are significantly different from what they are now. As soon as President Obama signed the health care bill, the attorneys general in 14 states filed challenges to the constitutionality of the new law. While it is difficult to predict how the courts will rule on the new law, most everyone agrees the case will ultimately go to the Supreme Court. Those who oppose the new law would like to see the supreme Court rule that it violates the United States Constitution and is therefore invalid. Those who support the new law have welcomed the challenges because they believe the Supreme Court will rule that the new law is constitutional which will block further challenges to it. While all of this is going on in Washington, a committee is studying how Connecticut's laws line up against the new federal law. 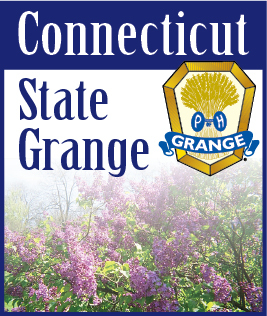 The committee is required to report to the Connecticut General Assembly no later than May 23 with a list of Connecticut laws and regulations that need to be revised to bring Connecticut into compliance with the new federal law. Then the General Assembly will need to revise the Connecticut laws so we will be eligible to receive as much federal money as possible through the programs created by the new federal law. Many people are asking what is in the new law and how will it affect them, for better or for worse, and when will they see the changes. The answer right now is that very few people, if any, completely understand the new law. Regulations to implement the new law must still be written. The law itself is a little over 1,000 pages long. The regulations, which will spell out everything in minute detail, will probably be well over 2,000 pages long. If, as some people claim, the new law is on a par with Social Security and Medicare, the law and the regulations will be as complex as Social Security and Medicare. There are so many parts and sub-parts to both Social Security and Medicare that no one person could possibly be familiar with all the details in either program. The same will most likely be true of the new health care law. The basic concept is that everyone will be able to afford medical insurance so they can afford to see a doctor or have a prescription filled whenever they need to. People will no longer have to use the hospital emergency room like a walk in clinic for every minor problem like they have been because the emergency rooms must treat everyone who goes there, regardless of their ability to pay. This will all cost a lot of money which will ultimately come from taxes and penalty fees. The bottom line will be that those who can afford to pay will still have to subsidize those who cannot afford to pay. The only thing that will change is that there will be more regulations from Washington on how everything is done. The good news is that our system will be nothing like the Canadian system. In Canada, all health care workers are employed and paid by the government. There are no doctors in private practice and medical insurance as we know it in the United States is not allowed. When a person needs to see a doctor, they must go to a government run clinic where they often wait several hours to be seen. No matter what the person needs, the government system decides if and when they will be treated. Under the new system in the United States, people will still choose their own doctor and receive whatever treatment they and their doctor agree on promptly. The only significant change may be that some doctors will choose to retire sooner because they do not want to accept the payments regulated by the system.